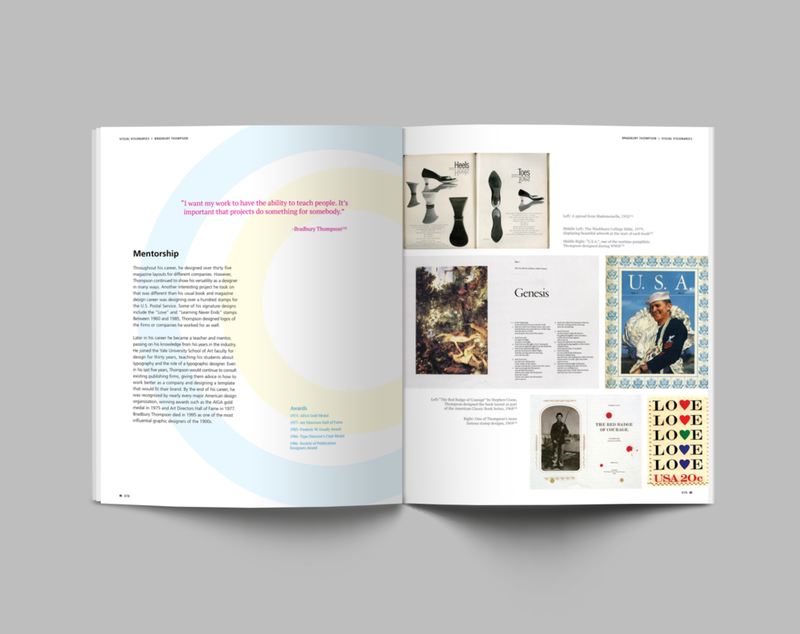 As a class we designed a book called Visual Visionaries which featured twenty-some famous designers that shaped the world of design that we know today. We were each given a designer to research and share through a physical and digital piece. My designer was Bradbury Thompson, a pioneer in printing CMYK styles and a world renowned art director and graphic designer. In both my physical book spreads and responsive website, I implemented some his design elements and layout styles to reflect who he was as a designer.